Going for a swim in the backyard pool is pretty much everyone’s favorite summer activity. Going for a swim in the backyard pool is pretty much everyone’s favorite summer activity. Since temperatures here in Maryland have been pushing 100 degrees Fahrenheit for the better part of this week, you probably dove in a few times! You probably think that as long as you know how to swim and follow all of the standard water safety rules that you’ll be totally fine. 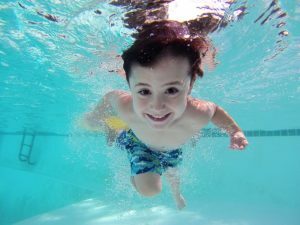 One thing some pool owners tend to overlook is the electrical safety rules they should be following around the pool. Your swimming pool does have electrical elements, and if they aren’t properly installed and maintained those elements pose significant safety risks! These risks increase significantly if the devices aren’t plugged into GFCI (ground fault circuit interrupter) outlets. One of the biggest ways to increase the electrical safety of your pool is to make sure all of the components are protected by GFCIs. The way these work is that when the sensor detects too much moisture, it cuts the power to the outlet. No power means less risk of electrocution. Be sure to have all of your home’s wiring thoroughly inspected by a licensed electrician from TriStar Electric. Once the inspection is completed, we will give you a detailed report of what’s going on and if there is anything that needs repairing! This entry was posted on Thursday, July 5th, 2018 at 4:46 pm. Both comments and pings are currently closed.